Here you will get some hardware issues and the final solution for this in the Samsung B313E phone. In the blow we will find solution for B313E Ringer ways, speaker ways, SIM ways, Mic ways and charging ways etc. 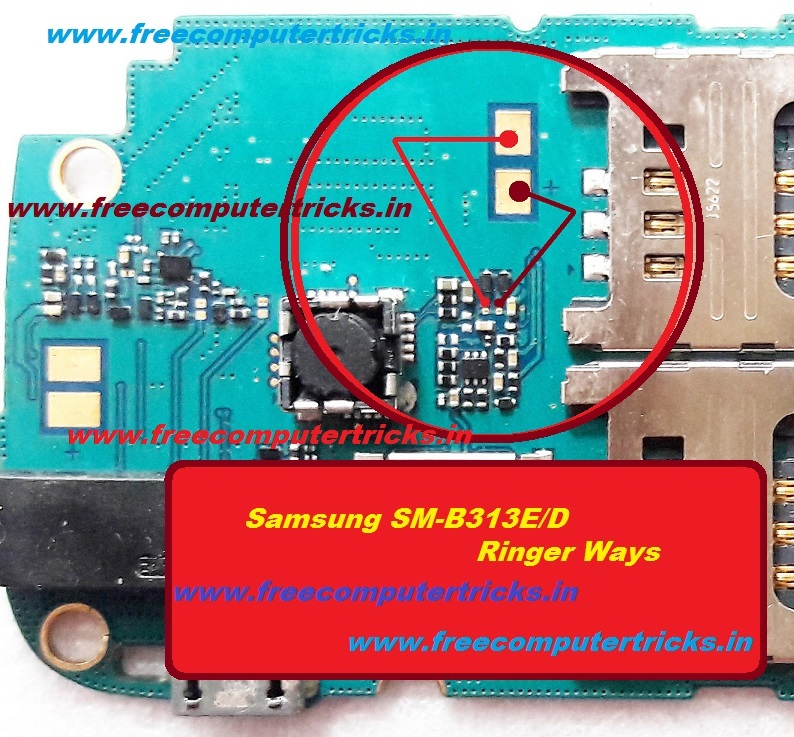 In the below images you will find the jumper ways in Samsung B313E/D phone for the fault you have on the phone. 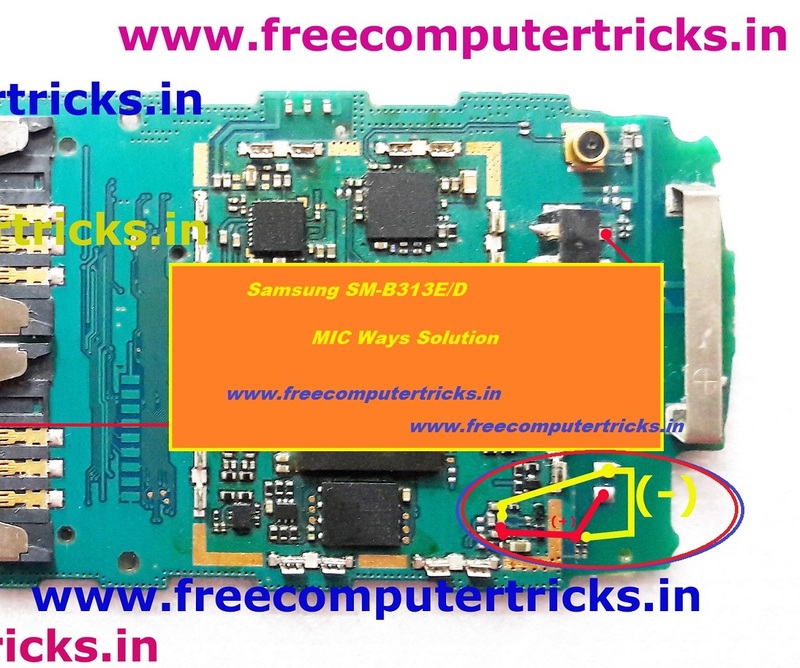 1) Samsung B313E charging ways and IC ways. 2) Samsung B313E Insert SIM Solution. 3) Samsung B313E Mic ways. 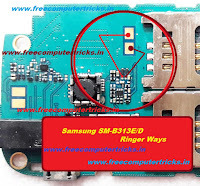 4) Samsung B313E Ringer ways. 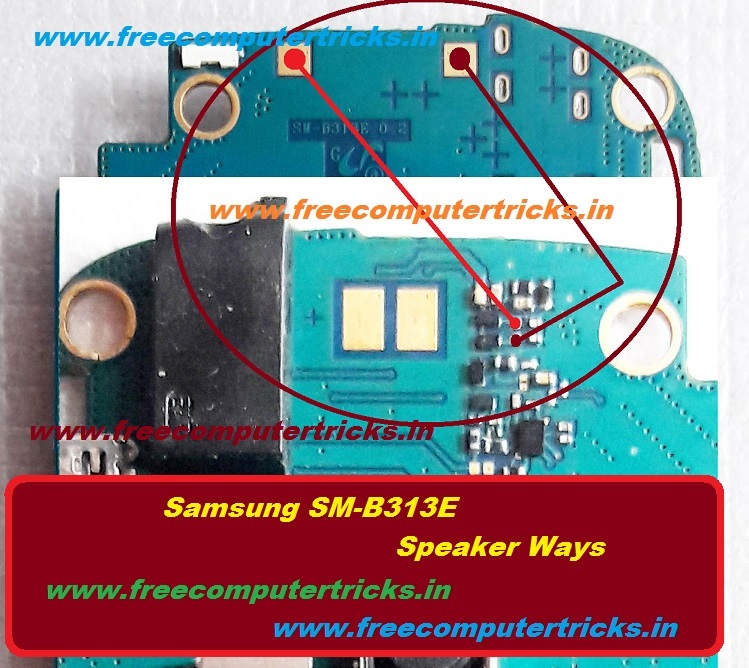 5) Samsung B313E Speaker ways. Samsung B313E all hardware solution and from the above image you will get the idea and solution for speaker, ringer, Mic, SIM and charging problem on the phone, please follow the above images and check the connectivity, then apply jumper.